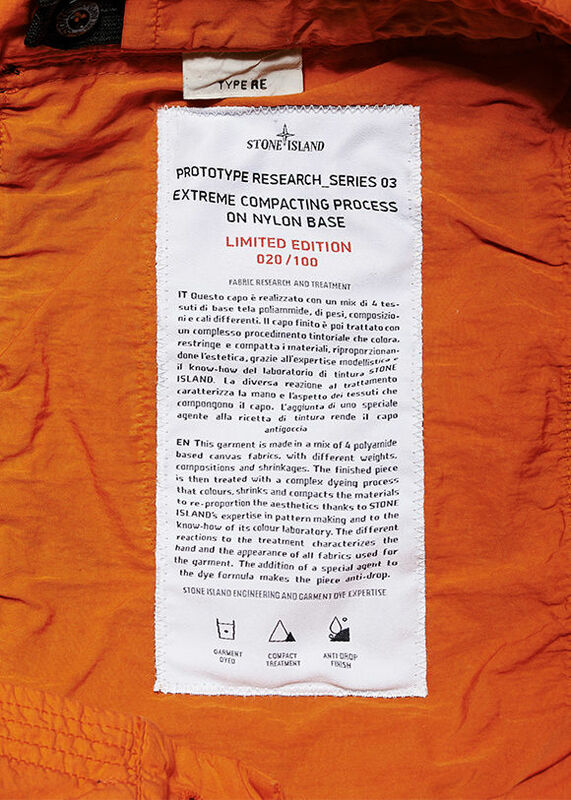 The Prototype Series is a native limited edition created by Stone Island to give light to research that, given their complexity of experimentation, is not yet industrializable. 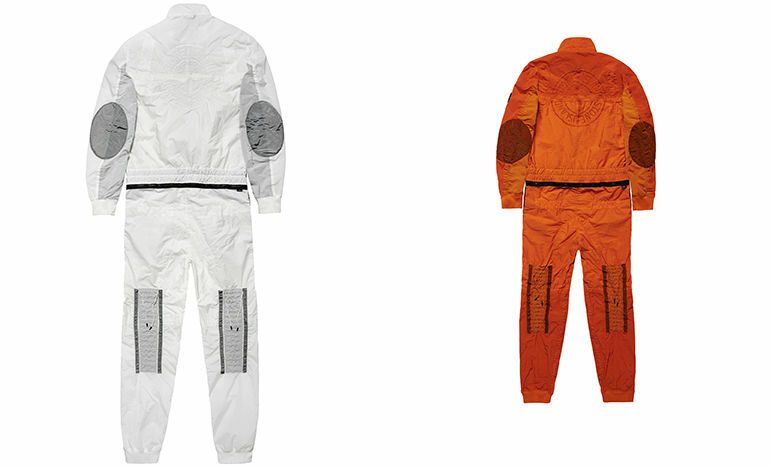 Unique projects of a few numbered items made with innovative technologies, in new fabrics and treatments. 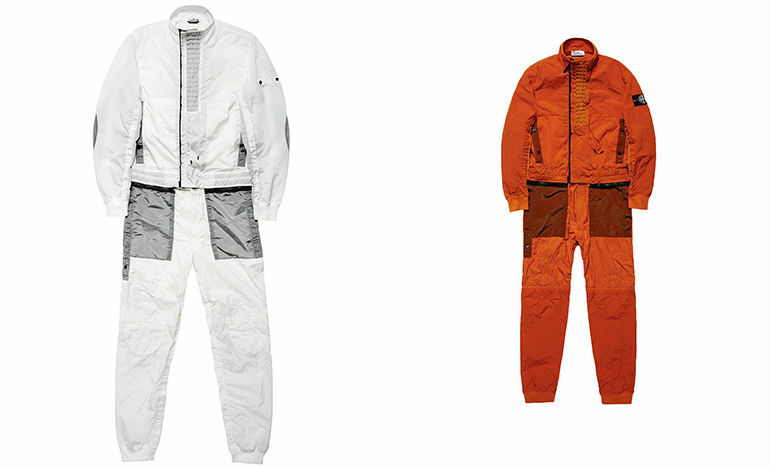 SERIES 03_EXTREME COMPACTING PROCESS ON NYLON BASE is a jumpsuit made of a mix of 4 polyamide based canvas fabrics, with different weights, compositions and shrinkages. 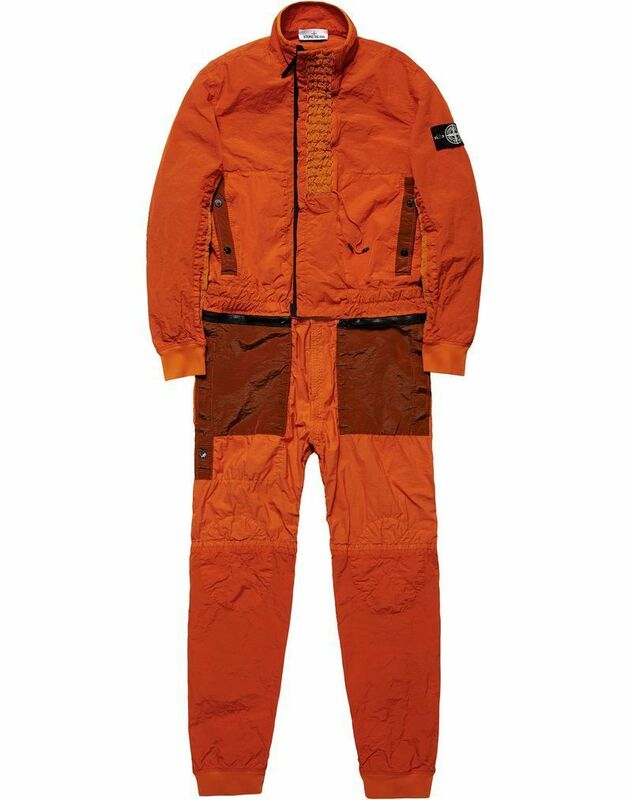 The finished piece is then treated with a complex high temperature dyeing process that colours, shrinks and compacts the materials from 0 to over 25%, re-proportioning the aesthetics thanks to Stone Island’s expertise in pattern making and to the know-how of its colour laboratory. 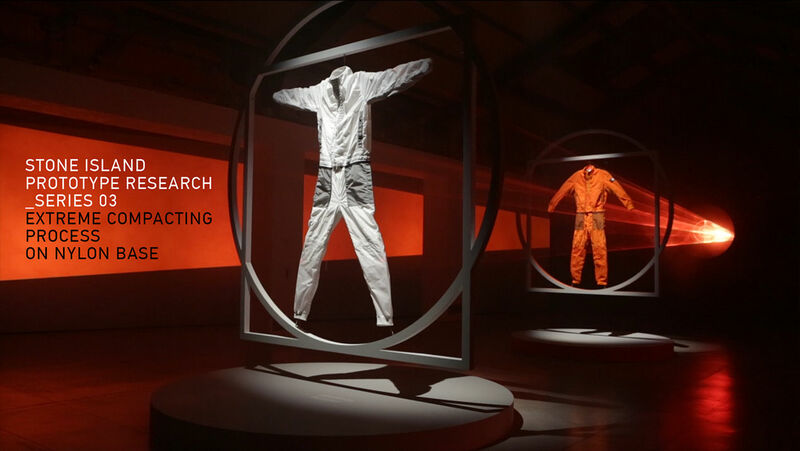 The different reactions to the treatment characterises the appearance of all fabrics used for the garment. 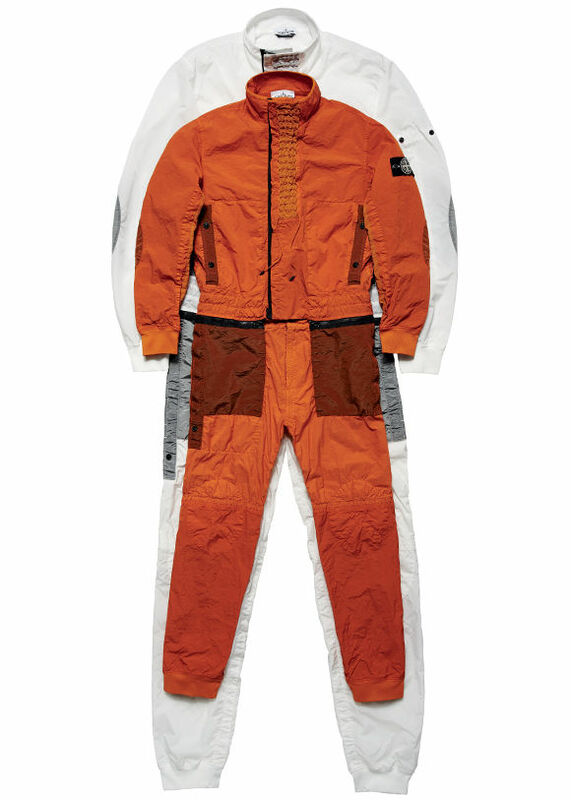 Jumpsuit composed of a jacket and trousers joined by a zip at waist – also wearable separately – loosely inspired by a Soviet pilot suit. 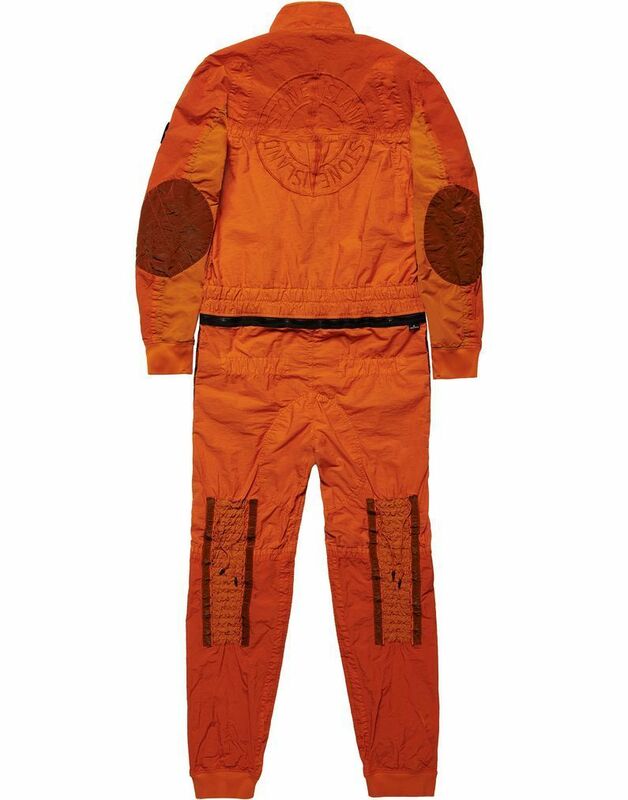 On the front and on the back of legs, large set up with two crossing drawstrings, to tighten the piece. 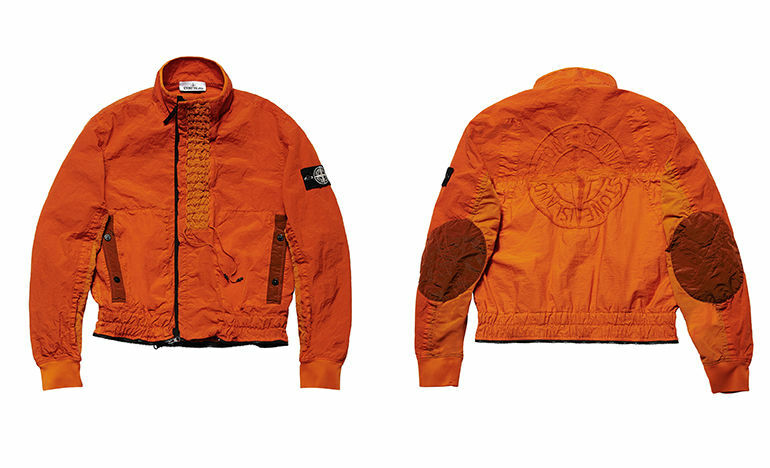 Big embroidery of the Stone Island Compass logo on the back. Jacket with standing collar closed by asymmetrical zip. 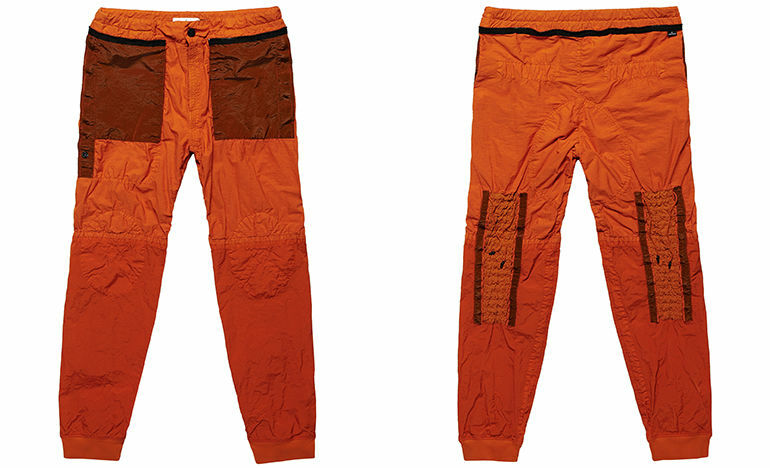 Trousers with two patch pockets closed by hidden snaps.